Unfortunately, most of the speciﬁcs of these valuable contributions have until just recently been blocked from Western awareness by immense cultural and language barriers. These barriers are beginning to break down to an extent in acupuncture, but with regard to qigong they are still very much in place. Many physical problems are at least partially due to, or aggravated by, mental or emotional stress, so the importance of the inner tranquility developed through chi gung cannot be overestimated. 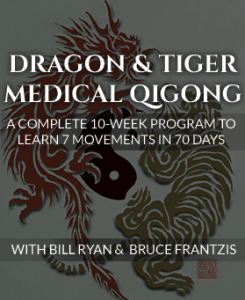 The practice of qigong helps manage the stress, anger, depression, morbid thoughts, and general confusion that prey on your mind when your chi is not regulated and balanced. Strengthening and balancing the energy of your mind enhances your ability to detect subtle nuances and to perceive the world and its patterns at ever-increasing levels of complexity. People who do not practice some form of energy development many never acquire these abilities. Popular opinion has it that once you have reached a state of emptiness, you stay there, but this idea is false. You merely become increasingly familiar with this state and learn how to spend more and more time there. As long as you live in a physical body, physical needs continue to exert demands, and dwelling completely in emptiness is not possible. 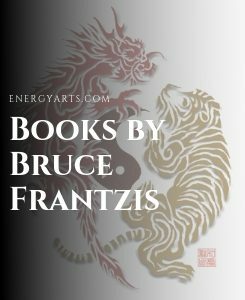 Taoism has developed advanced techniques to work with the energy of Wu. Qigong can be practiced by individuals who only want to become physically healthy and do not care about psychological or spiritual matters. For generations, qigong has been used by martial artists, many of whom remained unconcerned with spiritual development. Nonetheless, all Taoist spiritual practice begins with qigong practice, no matter what level of attainment one wishes to ﬁnally achieve. Many monks from different Buddhist sects in China have had to seek out Taoist masters to repair the damage to their systems caused by overly forceful meditation techniques. That is why qigong is only a preparatory practice for Taoist meditation. qigong can help calm an agitated mind and your negative emotions, strengthen the nerves, clear energy blocks and make you healthy. However, qigong alone is normally insufﬁcient to resolve and clear serious and traumatic emotional and spiritual blockages within the deeper layers of your consciousness. This more encompassing skill primarily belongs in the realm of Taoist meditation. 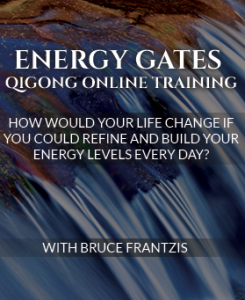 Qigong represents a total system of energy work and personal development system. The exercises presented the Energy Arts Qigong Exercise Program are all that are necessary to maintain high-level health and increase overall awareness. This set of exercises can also serve as warm-up exercises for internal martial artists and energetic healers. These will give the average person at least as much internal beneﬁt as they would most likely obtain from the practice of tai chi with the vast majority of the tai chi teachers in the West, as most teachers either do not know or do not share information regarding the internal energy work of tai chi. Qigong was primarily developed as an exercise to keep people healthy and reduce tension. Qigong is practiced by people of all spiritual and religious persuasions. Although the basis of qigong is Taoism, one of the primary Eastern religions, there is no necessity to learn or believe its philosophy to practice qigong. For ﬁve thousand years, Taoists have practiced techniques for developing chi. Most modern Taoists are reluctant to publicly declare that they do qigong and other energy work, preferring to quietly practice in private. The United States and Europe are presently besieged by cults. Generally speaking, people involved in qigong do their best to avoid cult-ish identification. Qigong is something you do, something that beneﬁts your life. It is not you, you are not it. 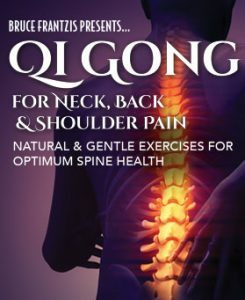 However, qigong can have potent effects and some cult groups have incorporated chi gung techniques into their practices to draw in adherents. The phenomenon of cults is something China has seen many times and has deemed to be nonessential in terms of human evolution and the development of consciousness. The Taoists used chi gung to make the body healthier, the mind more clear and balanced, the emotions calmer and to increase spiritual capacities. They did not believe in making the practice of qigong yet another wedge to divide people into groups of those who do and those who do not. The science of qigong is based on the axiom that the mind has the ability to direct chi, which this book can teach you how to accomplish. You can qigong can begin to feel their nerves, and this ability increases with time. You can literally learn to go inside your body with your mind, feel what is there, and direct your chi where it needs to go. This is not a mysterious process, but a natural one that can be acquired with time and effort. It is possible to get 50 to 60 percent of the potential health beneﬁts of tai chi just by doing these exercises, which are probably only one-tenth as difﬁcult to learn as tai chi. In addition, there are higher level techniques in tai chi, which are accessible only after mastering all the internal material of these qigong exercises. In the West, most systems of tai chi or other internal martial arts are taught from the viewpoint of movement, with principles such as softness, relaxation, and body alignment thrown in. However, most of the internal components of tai chi that bring about health are commonly overlooked. Whether this lack of information is due to the reticence of teachers or the language and cultural barriers between China and the West, a large vacuum of knowledge does exist for Westerners. The traditional and complete internal martial arts of tai chi, hsing-i, and bagua are extremely subtle and advanced forms of qigong. Authentic material on these arts is rarely found in the West and, where it is found, the transmissions tend to be clouded. Very useful that note that Chi Kung is not a cult. Tai Chi Chuan was invented by Taoists and of course we don’t have to convert to Taoism to benefit from both. I have my religion and I practise both with no problem at all.